Claire was so excited that her first ride on her first day at her first Disney park would be Star Tours. 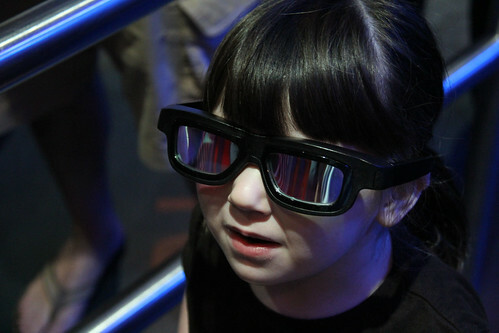 Not only did she finally tolerate 3D glasses, she couldn't even wait to board the ride before trying them on. Here she displays her readiness to blast into the futuristic world of long ago. Immediately after, she loudly proclaimed that, "It's the BEST DAY EVER!" I couldn't find any reason to disagree.